A friend then mentioned to me that this wasn’t exactly used as a foundation, but rather a “spot highlighter” to use under/over foundation. Now that I tried it like that, it actually looks great, but I’m not sure why the instructions say it can be used as an all over foundation. The glow is too extreme in that case.. I really want to know who uses this as all over foundation because it is crazy! The one thing I did notice when I used it all over was that it act as a great primer for my skin. I’ll definitely use this just as a highlighter under and over foundation, but not instead of foundation. The Magic Away Liquid Concealer ($38 CDN) is a full coverage concealer. 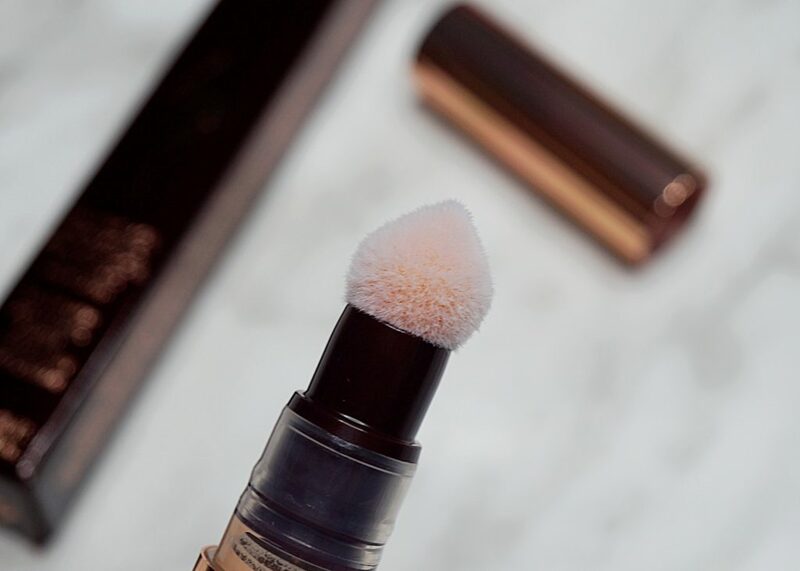 This concealer has a “Magic Precision Sponge” to help apply it under your eyes. I found the consistency of this concealer to be a bit thick, but seeing as it is full coverage, I don’t mind it. 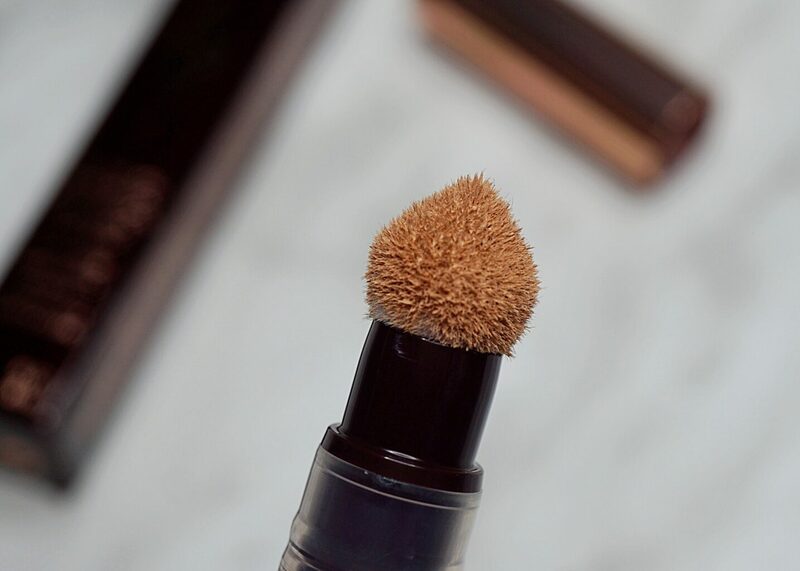 The magic precision sponge applies the concealer nicely, but you definitely need a makeup sponge to help blend it into your skin. Seeing again as this is full coverage, it does take a bit of work to get it to blend nicely. It’s honestly worth the work – this concealer works like magic and covers all my dark circles and blemishes! However, after all day wear, I did notice this creases under my eyes. But if you use a finishing powder and bake it, I didn’t seem to find as much creasing. The only thing I don’t like is the applicator itself because it is quite large, and any excess concealer does get smudged inside the cap – making any old concealer stuck inside, constantly rub against the brush when the cap goes on/off. I wish the applicator was smaller to avoid this, and it wouldn’t make a difference when actually using since I don’t use it to blend into my skin. Love the product, hate the applicator. 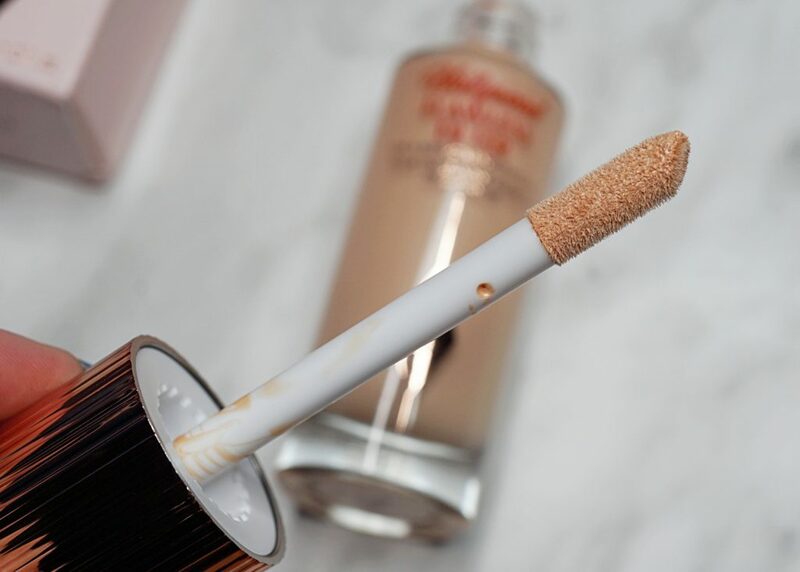 In the end, I would recommend Charlotte Tilbury’s Magic Away Liquid Concealer despite the applicator (I know other’s might like it more than me), but I wouldn’t pick up the Hollywood Flawless Filter if you’re just looking for a highlighter. 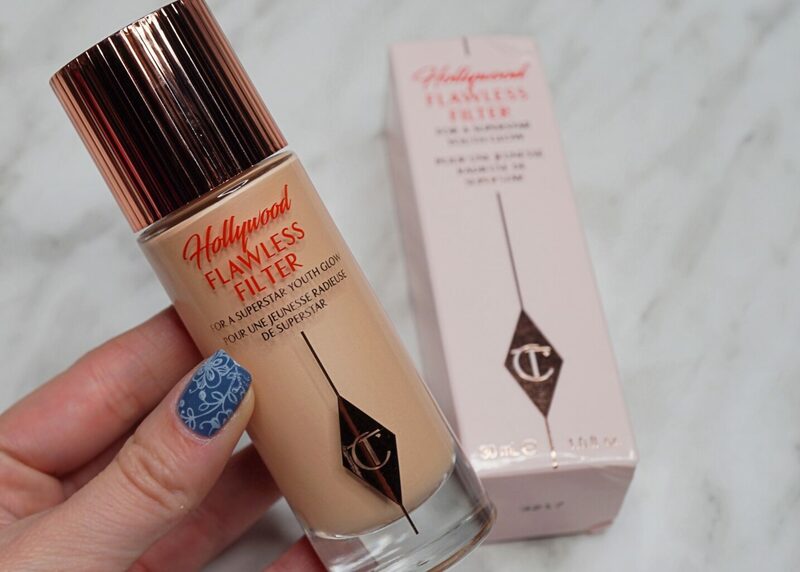 You can find another brand to get a better glow for a much lower price! 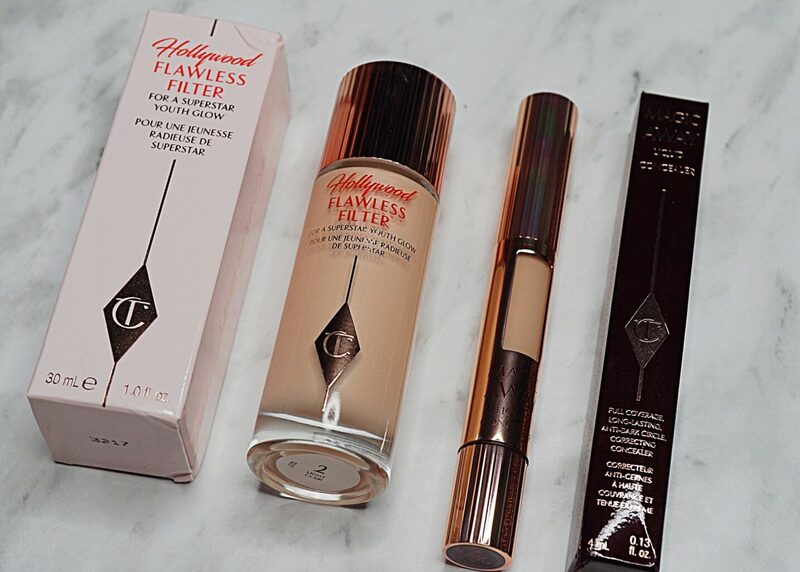 Get these products, and much more, online at Charlotte Tilbury’s website.